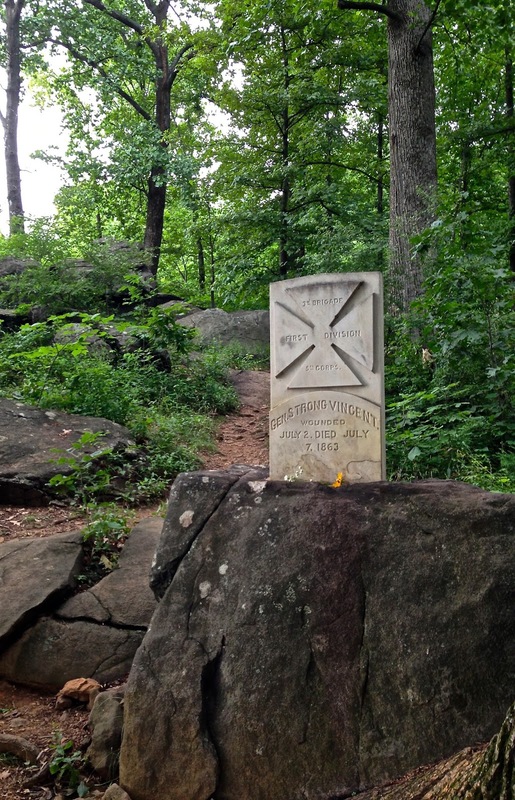 I spent the past seven days hiking the Civil War battlefields of Pennsylvania, Maryland, West Virginia, and Virginia. Killing fields with iconic names like The Bloody Angle, Slaughter Pen, Devil’s Den, and the Sunken Road. Through dense wilderness, over rolling hills, and across now silent peach orchards, cornfields, and wheat fields that, for one terrible season, yielded only unspeakable human carnage and immeasurable tragedy. I stood in the cool waters of Antietam Creek and the Potomac River, and crossed the Rappahannock, Rapidan, Shenandoah, and dozens of other creeks, runs, and branches. I took in the expansive vistas from atop Maryland Heights, Marye’s Heights, Culp’s Hill, and Little Round Top. Today, some of these battlefields are utterly surrounded, besieged from all sides by a standing army of urban encroachment; others lay beyond the edge of forgotten gravel roads, or buried beneath 150 years of thick, tangled undergrowth. Why did they fight? What was accomplished? Was it worth it? And the deeper I searched, the more disoriented I became. I was lost in the woods. And to think that there are battlefields from ages past that we don't know anything about. That we've fought to the death over things since the beginning of time. It surely does seem pointless at times. But I'm glad you got to experience the history that must have been heavy at those places.